Which mountain, and how high? Driving up the Durance Valley from Cadarache to Manosque, the view extends to the southernmost peaks of the Alpine range, more than 100 kilometres to the north and east. To the north, one can see as far as the 4,100-metre-high Barre des Écrins, more than 150 kilometres away. 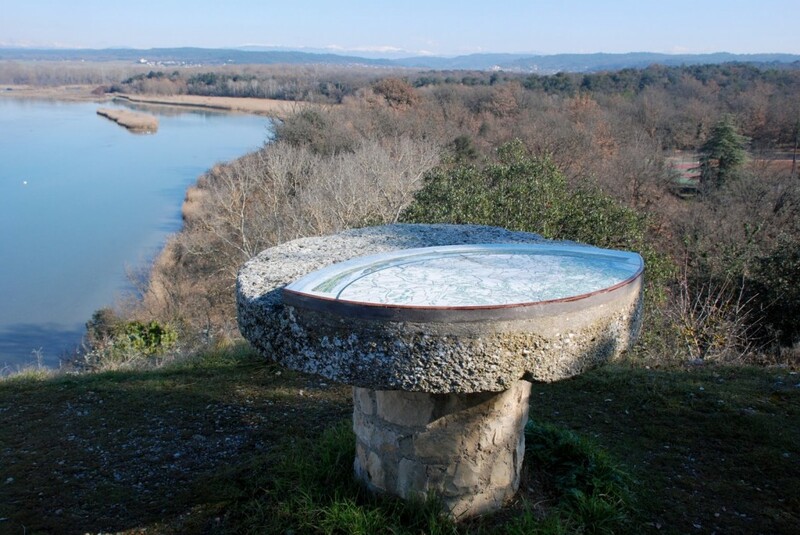 By the Château de Cadarache, an "orientation table" points out the name and elevation of every mountain within sight. the vast panorama is particularly spectacular. To the left, one can see the 4,100-metre-tall Barre des Écrins, located west of Briançon; to the right, the view reaches as far as the jagged mountains above the Gorges du Verdon. A succession of snow-capped peaks, needles, ridges, domes and high plateaus spans the whole horizon—a heaven for hikers and mountain climbers. The best place to take in this magnificent vista is an opening in the woods below the Château de Cadarache. There, at the end of a small path, an "orientation table" points out the name and elevation of every mountain in sight. Partially based on that "orientation table," we have produced these two panoramas: one looking north toward Sisteron, the other looking east toward Vinon and the Gorges du Verdon. Special thanks for their precious help to Bruno Couturier from Agence Iter France and to Régis Kuntz, Head of Vinon's gliding platform. The "Portail (Gate) of Blieux," is one of the most characteristic features of the Verdon Pre-Alps.